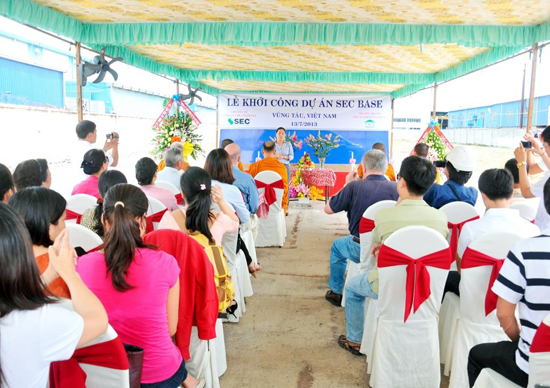 Saturday, 13th July 2013: The long awaited ground breaking ceremony took place for SEC Base in Dong Xuyen Industrial Zone, Vungtau. It was a beautiful sunny day and according to Vietnamese customs 5 Buddhist Monks were invited all the way from Thailand and Myanmar to give this project their blessing. After an inspiring speech from Mrs. Duong Huong Giang the following people had the honour to ceremoniously break the first ground; (from left to right) Mr. Nguyen Hieu Nghia, vice Director TVT, Project Manager SEC, Mrs. Duong Thuy Chi, Director Lien Thanh; Mrs. Duong Huong Giang, director SEC; Mr. Walter Leijen, Business development manager SEC. 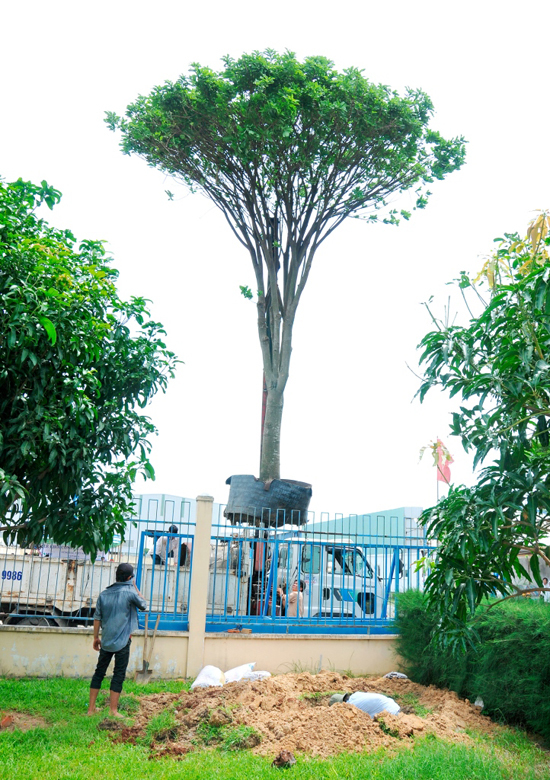 To mark this special occasion two tree were planted on both sides of the future entrance gate to the yard under the supervision of the Monks. 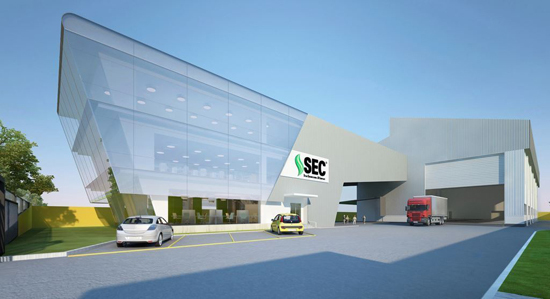 The new SEC base will offer 1600 m2 of office space and 1800 m2 covered workshop with 128 metric tons total lifting capacity and a heavy duty floor. The main entrance door to the workshop will be a whopping 11 meters wide and 10 meters high in order to allow fully assembled dredging equipment to be brought in. Everything going to plan the facility will be commissioned middle of 2014. Right after the ceremony was finished it started to rain, which can only be interpreted as a good omen. An update on the construction process will follow later this year. 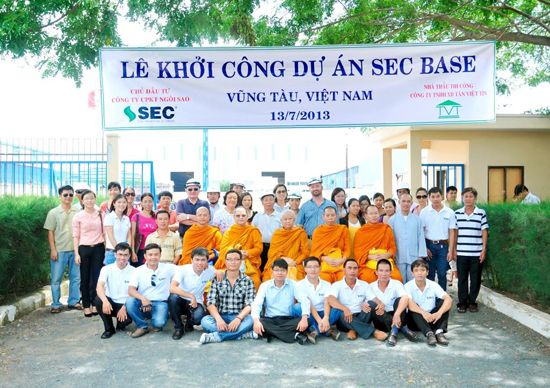 July 2014: SEC’s New Facility In Vung Tau Is Well On The Way To Completion. On September 21st, SEC – BOSKALIS joint venture has successfully lifted and installed the topside of BK – Thien Ung platform weighing over 4,200 MT at Thien Ung field, Block 04-3, 270km offshore Vung Tau. The work was executed using heavy lift vessel “Asia Hercules III (AH III)” with lifting capacity of 5000 MT. Overall, this is the most important part of BK – Thien Ung platform construction project owned by PetroVietnam (PVN) and AO Zarubezhneft, operated by Vietsovpetro (VSP) as main contractor. Head office: 165/79 Nguyen Thai Binh Street, Nguyen Thai Binh Ward, District 1, Ho Chi Minh City, 710200, Vietnam. Vung Tau Base (SEC Dong Xuyen Yard)- Street No. 7, Dong Xuyen IZ - Rach Dua Ward, Vung Tau City, Ba Ria - Vung Tau Province, 790000 Vietnam.